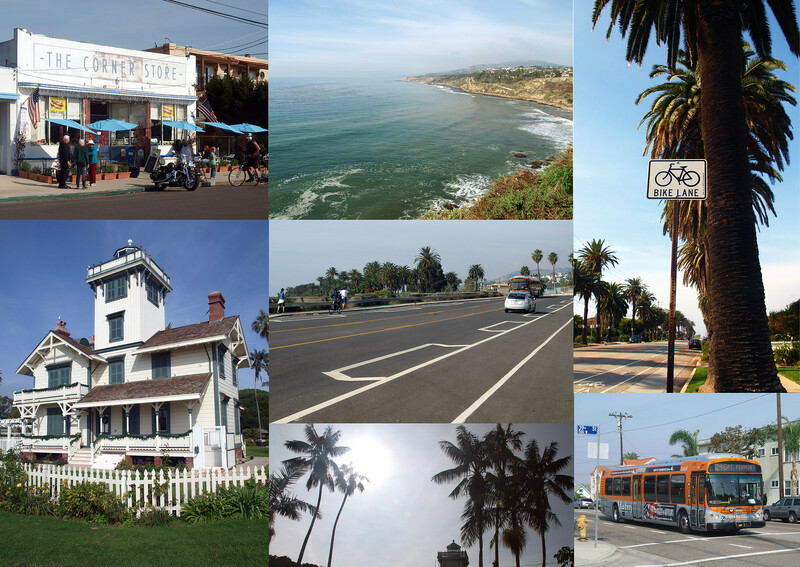 123 miles is about the distance from Los Angeles City Hall to downtown San Diego. 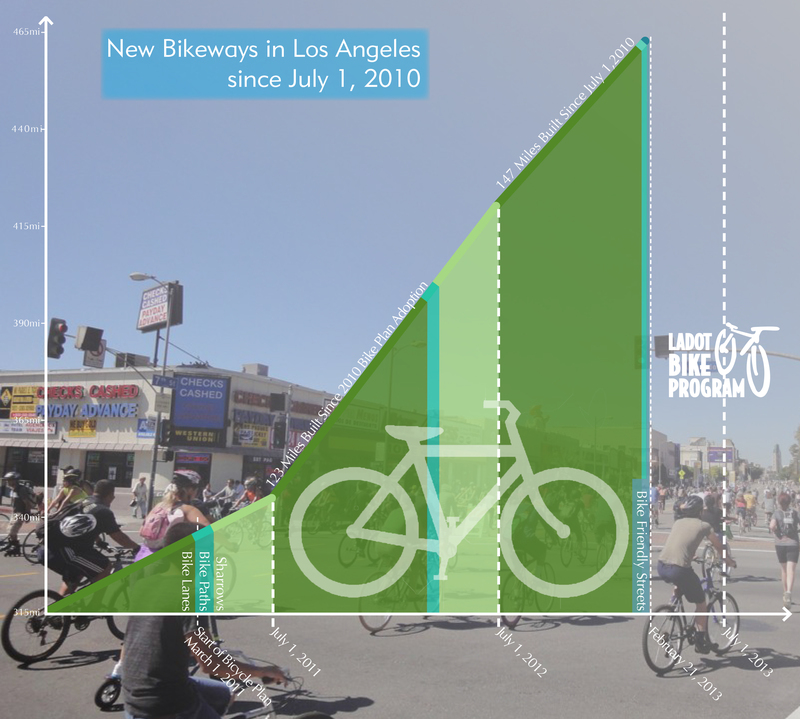 Mayor Villaraigosa announced February 21st that it is also the number of bikeways installed by LADOT since the beginning of Bicycle Plan implementation in March 2011. The rate of 61 miles every 12 months is almost eight times as fast as in the last 40 years. 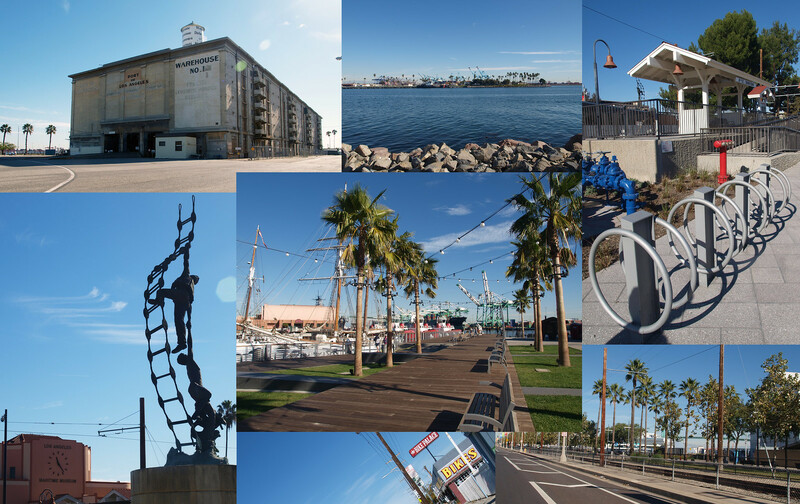 As the year moves forward, LADOT will be focusing on adding additional bicycle lanes, more bicycle parking, several bicycle path construction projects, sharrowing more than 22 miles of roads, and installing Bicycle-Friendly Street infrastructure on 4th Street. We’d like to thank the leadership of Mayor Villaraigosa and the City Council, as well as the city’s many bicycle advocates, for helping to make Los Angeles a more Bicycle Friendly Community. 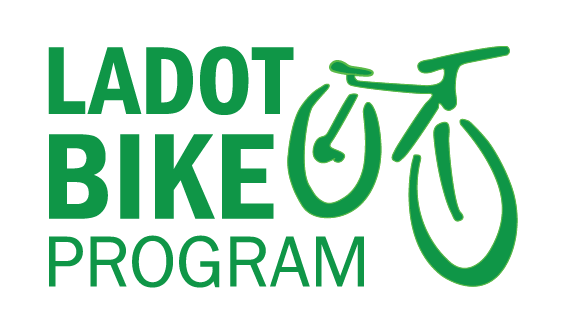 The LADOT Bike Blog hasn’t done a projects update in quite a while, so we figured it was about time to take stock of which new projects are on the pavement and which projects we can expect to see in the near future. Quite a few bike lanes have been laid down in the last few months, and we’ve got plenty more lined up for construction. As always, LADOT relies on the support of the public and the council offices to build new bicycle infrastructure. If any of the pending projects are in your neighborhood, please contact your council member and let them know you support bike lanes. Come below the fold, and we’ll cover a few of our newest developments. This update by no means covers all the projects we’re working on (some haven’t progressed to the next step on the road to construction), so feel free to check out our Bike Lane Projects page, our Bike Path Projects page, and our Year Zero/2010-2011 Projects Map to see everything we’re working on. 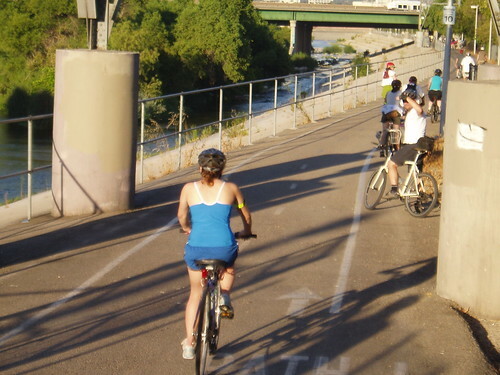 Just a quick heads-up for the LA bicycle community: a section of the LA River Bike Path will be closed tomorrow for repairs. The northernmost part of the LA River Bike Path, from Zoo Drive in the north to Los Feliz Boulevard in the south, will be closed all day on Wednesday May 25th and scheduled to re-open Thursday May 26th. The all-day closure is being done to repair breaks in the railing along the river and to repair pavement on the bike path in poor condition. While no one likes having the LA River Bike Path closed, I think we can all agree that a smoother and safer ride is worth a single day of closure. 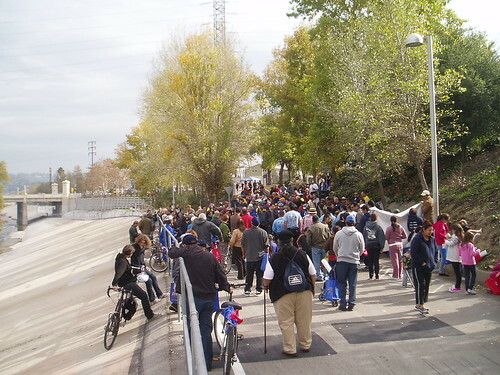 Many of us celebrated the opening of the Elysian Valley segment of the LA River Bike Path last year with a good amount of hoopla and ceremony. This newest section of the bike path runs through Elysian Valley, going 2.58 miles from Fletcher Drive to Barclay Street – near where the 5 Freeway connects with the 110. In engineer-speak, this section of the bike path was labeled “1-C”. The next section on the LA River, which will connect all the way to Downtown with bike path and bike lanes (Phase 3) , is currently in early design stages. LADOT Bike Blog was certainly guilty of being overly optimistic about the opening date of Phase 1C. 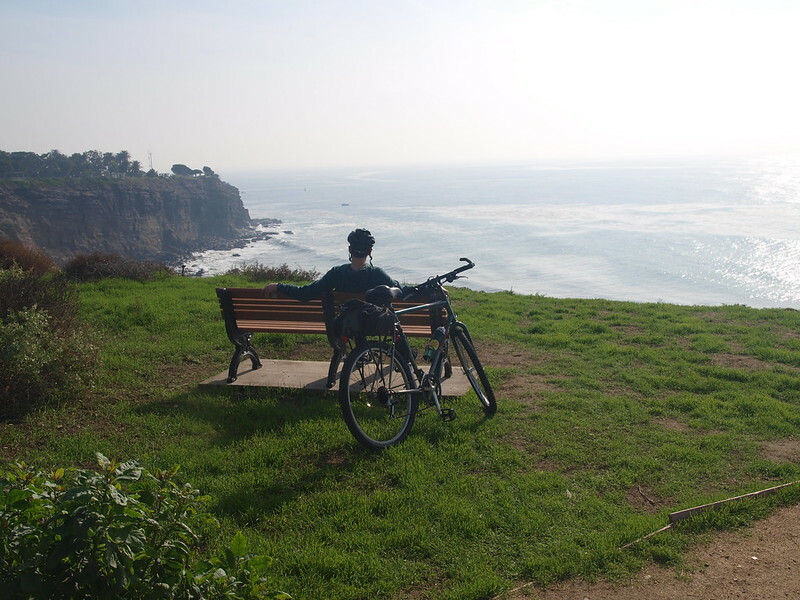 Back in the salad days of LADOT Bike Blog, we predicted 1C opening in late April of 2010. Oops. That predicted opening itself was a delay of the original opening date set for January 2010. 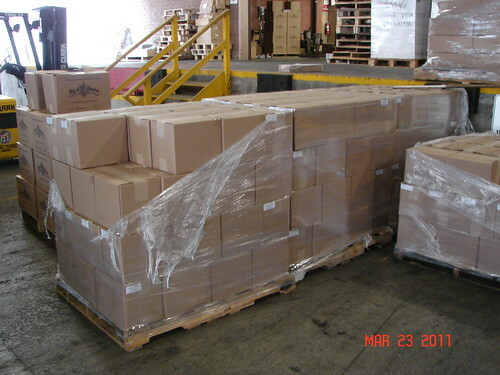 This wasn’t, however, the first delay for Phase 1C. The Elysian Valley section of the LA River Bike Path seems to have been born under an unlucky star. Come with us as we go through the history of Phase 1C. The opening of the Metro Orange Line BRT in the fall of 2005 greatly expanded mobility options for the notoriously auto-centric San Fernando Valley. The original 14 mile leg that stretches from Warner Center to North Hollywood has been a big success, surpassing Metro’s own 2020 ridership goals in just seven months. Running beside the busway for a majority of its length is the Orange Line bike path – a Class I bicycling facility (a small section on the busway’s extreme eastern end has Class II bike lanes). 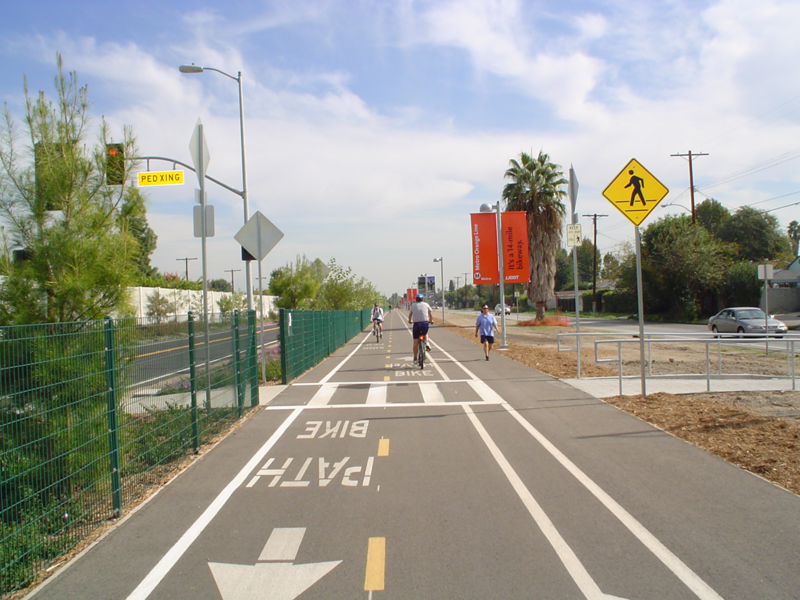 According to the LA City Bike Plan, Class I facility’s are “ideal for novice riders and children, recreational trips, and long distance commuter bicyclists of all skill levels who prefer separation from traffic.” The bike path has also been a big hit and has helped Valley residents realize the value of investments in adequate bicycling and pedestrian facilities.